The MOVE team gathers in Chiang Mai, Thailand. In May we spent five days in Chiang Mai, Thailand with MOVE staff serving in Australia, India and Thailand. In northern India, during the last five years, over 2,000 new churches have been started. Progress is slower elsewhere, but in every field we are hearing reports of people coming to Christ, worker being trained and new groups and churches forming. Below are some updates about new fields opening up and new staff coming on board with MOVE. Building the MOVE team is an important part of our calling. Grant Morrison has been with MOVE for the last five years. Next month they are moving to the Solomons. Sue has been appointed the Principal Internal Audit Adviser for the Solomon Islands Government. Grant will be training locals in the Solomons in disciple making movements and pursuing opportunties in Tonga, PNG and Fiji. 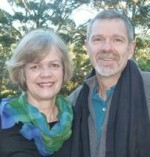 Kim and Ashley Hood are Australia’s leading trainers in teaching English for ministry. They have adapated their approach to help fuel disciple making movements throughout Thailand and Asia. In April they arrived in Bangkok where they are based at the Baptist Student Center. Tim Scheuer is one of Australia’s leading practitioners and trainers in multiplying disciples and churches. 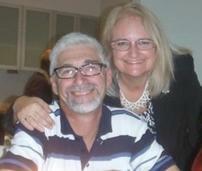 We’ve known Tim and Jenny for almost twenty years. Tim is based in Sydney, but works nationally. 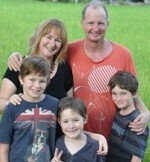 Formally Australian Director with Church Army, now serving with MOVE. Dave and Sue Milne are from Wollongong. Dave joined MOVE in June. He is an engineer who has increasingly devoted his time to making disciples at Wollongong university. He trains others to do the same in the Illarwara and around Australia.